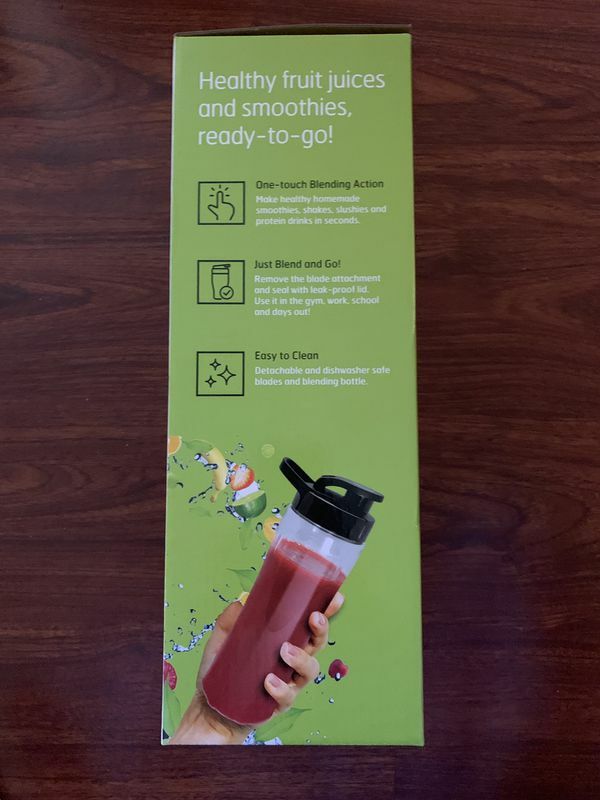 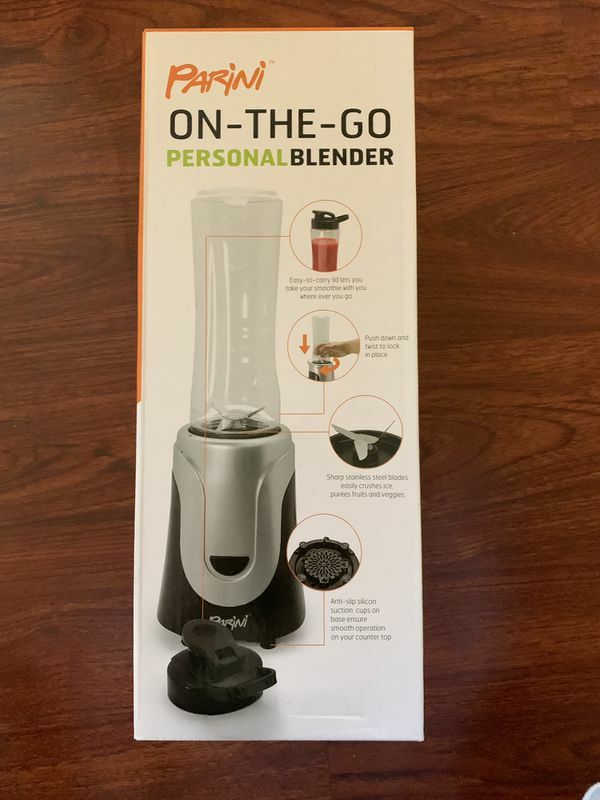 Brand new personal blender on the go. 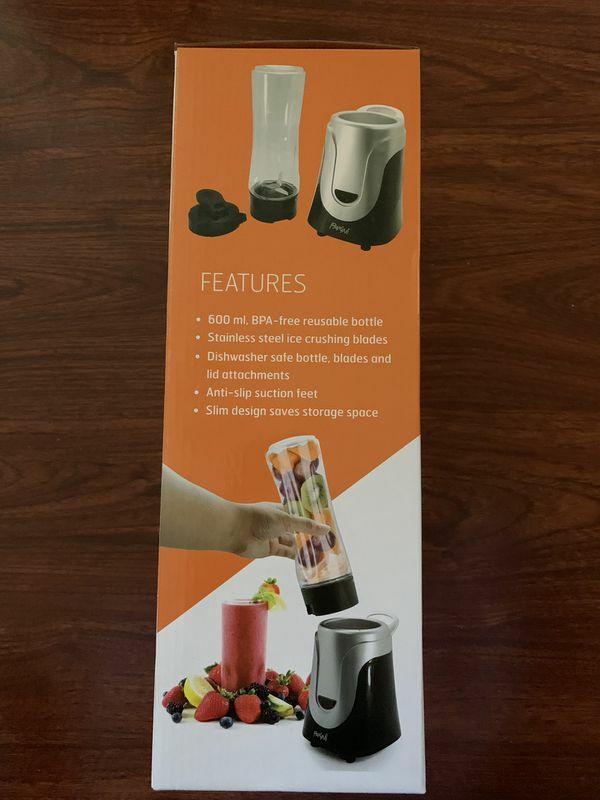 Stainless steel ice crushing blades, dishwasher safe bottle, blades and lid attachments, anti slip suction feet. 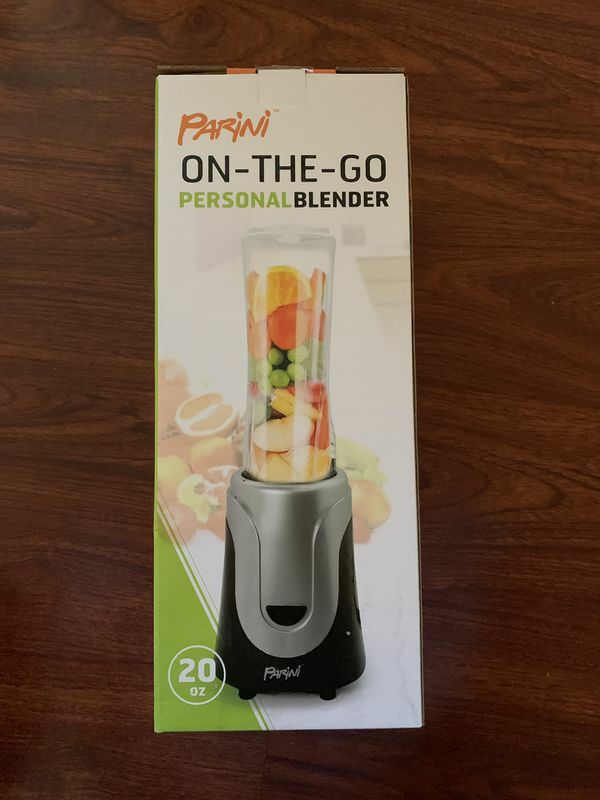 Very convenient and easy to carry.